1. Watch each athlete as they enter to make sure they sign the Workout Sign-in Sheet. If an athlete does not sign in, politely ask them to do so. 2. Compare the Workout Sign-in Sheetform to the EZFacility schedule each time someone walks in (see #3 for why). Showed up at the appropriate time. 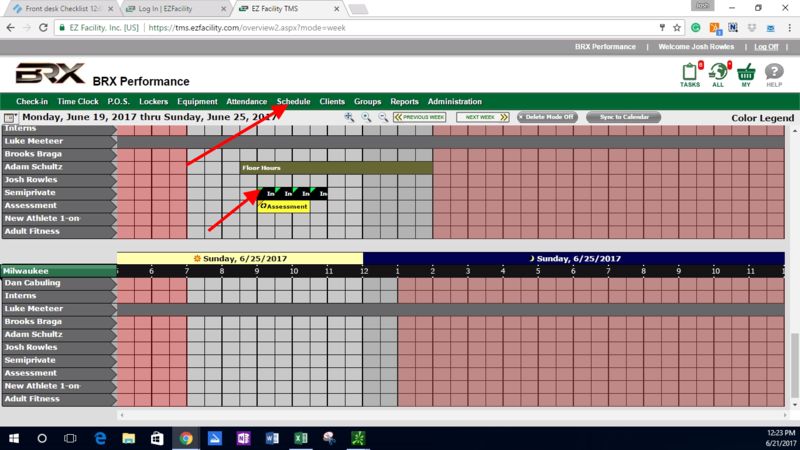 If they showed up more than 15 minutes early or 15 minutes late, please update the Attendance Logging tab of the Day-to-Day Ops Google Sheet. If they did not show up at all, please mark as a no show. 4. Mark athletes as ATTENDED on EZFacility as soon as you finish #3 above. 5. 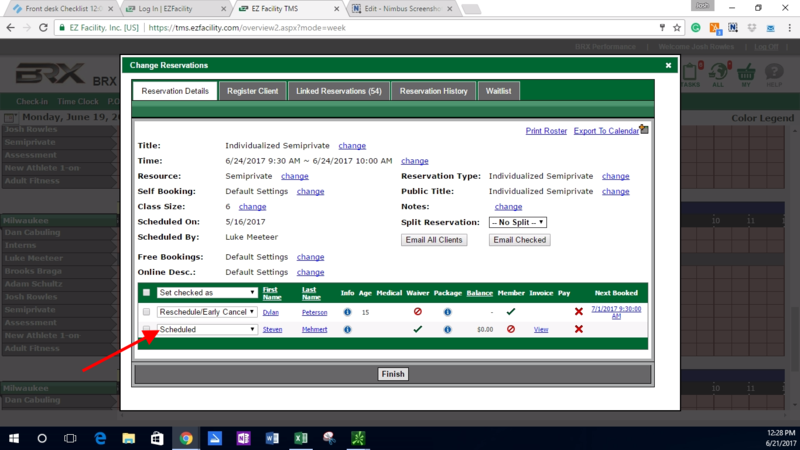 If an athlete did not sign up on EZFacility but is here to train mark on Attendance Log and schedule them into an open slot on E-Z Facility. Click Schedule. Click on that 30-minute window to see who is coming at that time and to open the attendance sheet. Click on this drop down and mark athlete as attended. To change multiple at one time use the check boxes and then use the set check as drop down.